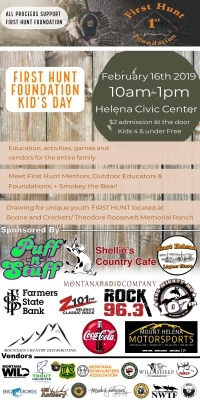 The First Hunt Foundation's Kid's Day is about education activities and games for the entire family to enjoy. Meet the First Hunt Foundation mentors, Outdoor educators, and foundations, plus Smoky the Bear. 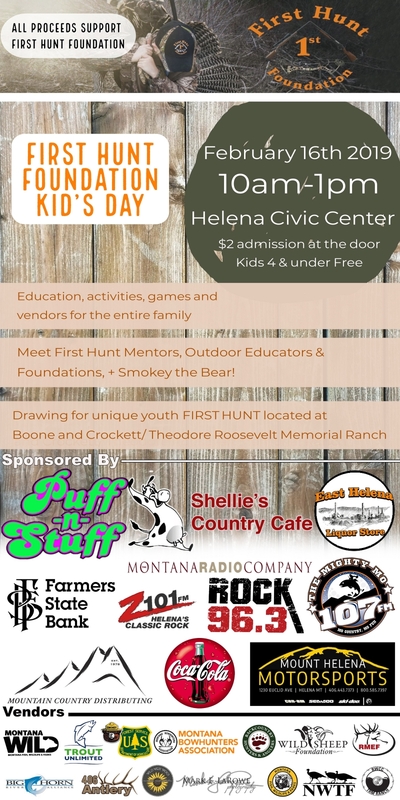 Come and enter your future youth hunter for a chance to win a FREE one-of-a-kind hunt with at the Boone and Crockett Theodore Roosevelt Memorial Ranch at the Rasmussen Wildlife Conservation Center. This five day hunt brought to you by fellow outdoorsmen and women and Communities Helping Kids. All door admission is 100% given to the First Hunt Foundation.